Quiet start, busy end. That describes the past week. I spent most of the start of the week working on my “availability list”, the excel spreadsheet that lists all the flowers I plan on growing this year along with their expected dates of peak bloom. This document is critical for both my planning as well as for communicating to future florist clients what I will have, when. I hope I will figure out how to transform it into something more aesthetically appealing over the next month, but in the meantime it is functional as a spreadsheet. At the end of the week, after all of my praying and “snow dancing”, we finally got a desperately needed foot (~30 cm) of snow on Saturday. It took Don and me two hours to dig ourselves out of the driveway, and more importantly to carve pathways through the drifts to the bird feeders! After making the driveway passable, I headed out to YEG, to do errands and squeeze in visits with friends and my parents before I headed on south and east to Lacombe for the Alberta Dahlia and Galdiolus Society (http://www.albertadahliaandgladsociety.com/) executive meeting on Sunday. 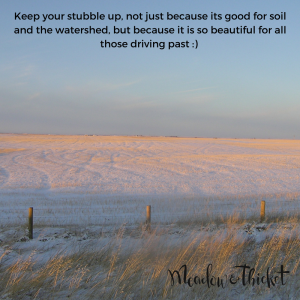 I don’t really like driving, but I did enjoy my trip on Sunday because it was so sunny, the fields were beautiful, the roads were good, only a little bit of traffic and I got to listen to CBC am or fm all day! Some of my favorite shows are on Sundays, including Sunday Edition, My Playlist and Apropos. I’m still replaying “Lost in the Light” by the Bahamas over and over: https://www.youtube.com/watch?v=eoyeBd71Nq8. A trial garden is a specially developed growing area, sanctioned by the American Dahlia Society http://www.dahlia.org/to officially evaluate new dahlias developed by breeders from all over Canada and the US, prior to their official release to the market. All the big name hybridizers send tubers to Piper Creek for evaluation by our experienced judges. If you have ever looked into dahlia classification and how dahlias are evaluated, you will realize this is a whole specialty unto itself, requiring a lot of training and experience. We are SO fortunate to have some of the best growers and judges right here in Alberta! In addition to operating the Piper Creek Trial Garden, the ADGS puts on a tuber sale in April each year in Red Deer. Members donate tubers from their collections to sell to raise funds for the Society to continue its work. You will find many, many varieties of dahlias you likely can’t find as easily or cheaply anywhere else. We also sell glad corms in a range of colours. As well, in the summer, the ADGS puts on several workshops on topics from dahlia and gladiolus judging and how to prepare your blooms for show, to flower arranging with dahlias and glads. 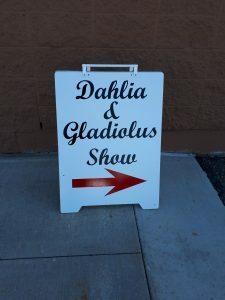 But our biggest event of the year is the Annual Alberta Dahlia and Gladiolus Show which happens the last weekend of August in Red Deer. This year the show will be on August 25-26. I can’t recommend it enough if you love dahlias. 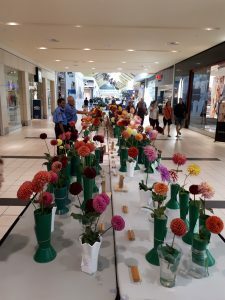 Hundreds and hundreds of show quality dahlias of all forms and colors are on display and judged by our panel of expert dahlia judges. It is truly a unique opportunity to see so many superbly grown dahlias in one place, in the “flesh” so to speak. We all know the dahlia images you see on your phone or computer are rarely true to the actual color of the blooms due to variability in screens as well as to filters applied. Also, you cannot full appreciate the texture and substance of the petals from photos. At the show you get to see and experience it all, and talk to the growers and judges! The hard part is, the dahlias are all so well grown that it is almost impossible to pick a “top 5” or even “top 10”. 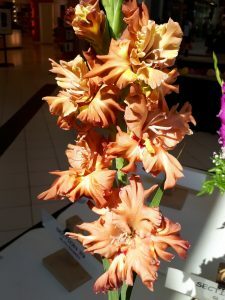 I have at least 50 photos, from the 2017 show, of blooms that took my breath away and are on my “must try” list, never mind the ones that were added to that list from previous years’ shows. I will be showing dahlias again this year, hopefully entering many more blooms than last year, AND this year I am upping my game and entering some gladioli as well. This under-appreciated flower comes in so many sumptuous shades and hues, as well as in several sizes from delicate miniatures to big blowsy ones much larger than you often see. The ones you see at the grocery store are just such a small example of the colors and forms that we can grow. Check out the stunner in the photo to the right. This is Cedar Wax. My picture doesn’t do this warm and spicy caramel colored glad justice, it is unbelievable! There is a whole art to growing and showing glads well, too. 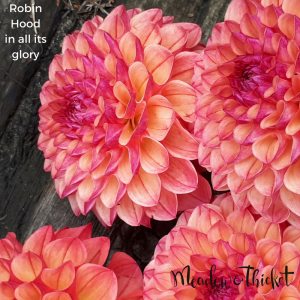 That is another thing I love about being part of this group, they are all so willing to help you to improve your growing skills and your eye for quality blooms, and they do so with such warmth and generosity. 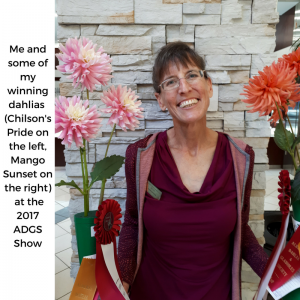 So to wrap up this section, if you love dahlias and glads, I encourage you to try to make it out to some of our events, and especially to the show in August. And if you are looking for some amazing dahlias to grow this year, be sure to mark Saturday, April 7, 2018 in your calendar as that is the date of our spring tuber sale in Red Deer. I will keep you posted about further details on the tuber sale here, as well as on dates and locations for our other events, and you will, of course, see them on the Alberta Dahlia and Gladiolus Society webpage too: http://www.albertadahliaandgladsociety.com/. As mentioned last week, I potted up a few of the dahlia tubers that I had culled out of the storage room because they had some evidence of rot. So far only one tuber seems to be “waking up” with the shoots clearly developing, one of my tubers of “Robin Hood”. The others are taking a long time, even though they are on a heat mat in the house. I will keep you posted on how things go with this experiment on salvaging stored tubers that are slightly rotted. I am delighted to report that I have a total of 46 of 50 lisianthus seedlings up and thriving! For the past week they have been doing what they do, just kind of sitting, preparing themselves for their next growth spurt. This is why you have to start them so early, they are one definition of “slow flowers” 😉. But actually I like to think they are pondering the world and taking in all the wonders of emerging and becoming. Kind of like we should. And wonders there have been in their growing media! This week some fascinating cup-like fungi developed on the sides of my soil blocks. 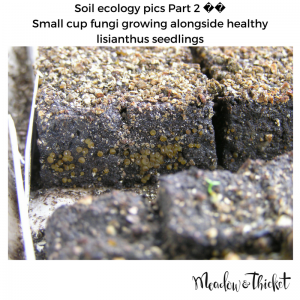 I ranted about my obsession with healthy soil ecology in my growing media in one of the last posts, so I won’t belabor it here. Suffice it to say I was on cloud nine and have been daily as I monitor my healthy little lisianthus seedlings AND my healthy little colony of fungi! My friend Kathy, who was a mycologist early in her career, says they likely are some kind of Discomycetes sp., of which truffles are a member! Wikipedia says this group is now actually 4 groups, but I have not broken out my magnifying glass and a taxonomic key to try to identify them. However I did learn a new word while looking into classification: inoperculate, meaning without a little hat covering the cup. My guys don’t have a cover over their cups so they are inoperculate. I love new words, and love the fact that there are lovers of fungi out there who so meticulously inventory, document, and create words to precisely describe them. This week I potted up 6 of the Baptisia australis seedlings which had already developed 2 true leaves. I should have potted them up sooner, as they flopped and looked stressed for a few hours afterwards, but they have recovered nicely and are growing happily now. I also potted on 13 Rudbeckia triloba seedlings and the only 2 Maral root (Leuzea carthamoides) seedlings that have emerged. They all only had one full set of true leaves so they transplanted well, with no stress evident. Lastly, I potted on 8 Lupinus perennis seedlings, however 4 of them are not progressing well. I think they were too small, but they came up with the larger ones, so I thought I should try to plant them. Apparently it was too much for the tiny ones. I also potted on 3 Baptisia sphaerocarpa (Yellow Wild Indigo) that had germinated in the soil blocks, they transplanted beautifully. This experience really speaks to the benefit of soil blocks for starting seeds. 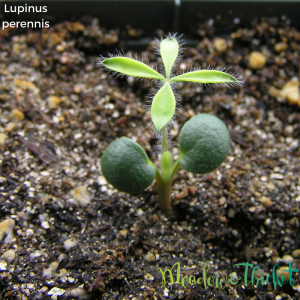 The Lupinus perennis were sown originally in a small tray, not in soil blocks. I sowed them with lots of space between the seeds to allow for easier transplanting, however their roots extended into each other in the tray anyways, making it hard to separate the larger ones that were ready for transplant from the smaller ones that weren’t. Seedlings in soil blocks experience air-trimming of their roots and thus they don’t get as entangled and they are easy to pot on as individuals if they are germinating erratically. Of course, if you leave seedlings in soil blocks too long, their roots will be forced to look for food and water outside the blocks and will get entangled- so it is imperative that you transplant at the right stage, regardless of what method you use. However, lesson reinforced for me, soil blocks are the best! Well that’s about it for this past week. I hope you had a great week and that this coming one is also full of delight for you. Rejoice the days are getting longer! See you here next week.